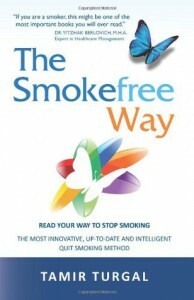 The Smokefree Way: READ YOUR WAY TO STOP SMOKING. THE MOST INNOVATIVE, UP-TO-DATE AND INTELLIGENT QUIT SMOKING METHOD - Tamir Turgal - review - M's blog. I am not a smoker myself, however, I do have relatives who have previously died of lung cancer. This book is very unique compare to other guides of "how to stop smoking" that I've read. The writing style is somewhat repetitive, but I guess the author was just emphasizing his points. I am simply not the target audience. Overall, a great book. I will be sure to recommend this book for other smokers that I know.